Hello Friends, I hope you are having a good start to the week! 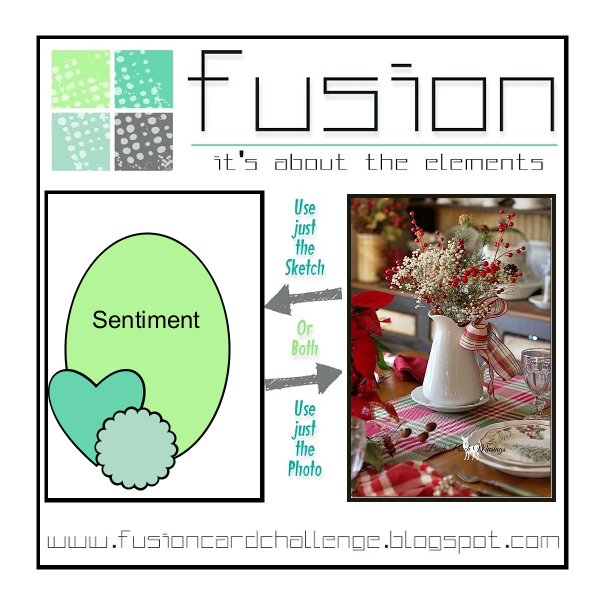 I wanted to share with you the card I made for the Fusion Card Challenge Inspiration Photo. I just love the color combo of Kraft and Red together, so I knew right away I wanted to play along. I had intended to follow the sketch as well, but somehow I lost focus and added too many additional layers. Please tell me you do that too? I just adore this little Rudolph stamp that I colored with Copics. Then I decided I would frame him in and have him playing in a snow bank. I thought my strips of added paper did a good job with the gingham you see all over the photo. Some sparkly snowflakes, Nuvo drops, and a Verve sentiment and I was all done. Thanks for checkin’ on me and have a wonderful day! Categories: Cards | Tags: Card making, Cards, Christmas cards, rubber stamps, stamping, Verve Stamps | Permalink. Awwww! That is the cutest reindeer! What a fun card design. Your card is adorable with that sweet reindeer. I love red and kraft together also. Have a great week my friend. Red and kraft are great together and so are reindeer and snowbanks. Wonderful card, Nancy. Simply adorable Nancy. Such a cute reindeer. Love the colour combination of the red/white/kraft and the layout and layers are fabulous. This is adorable! 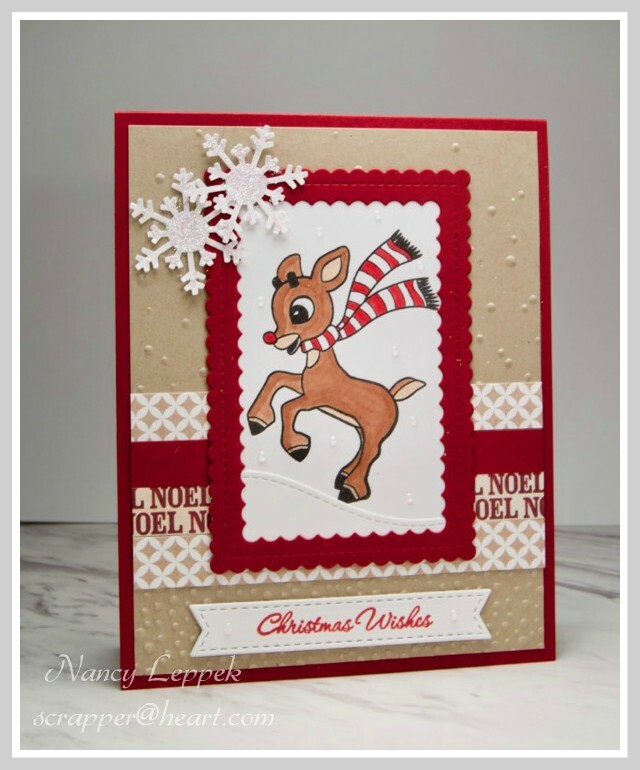 Your Rudolph is super cute and I love the red with the craft and all of your gorgeous layers. Oh, Nancy, this is just too adorable. I love that little reindeer and the red and Kraft are so great together. Hope you have a great week my friend.